Is The Red Onion Saloon Haunted? 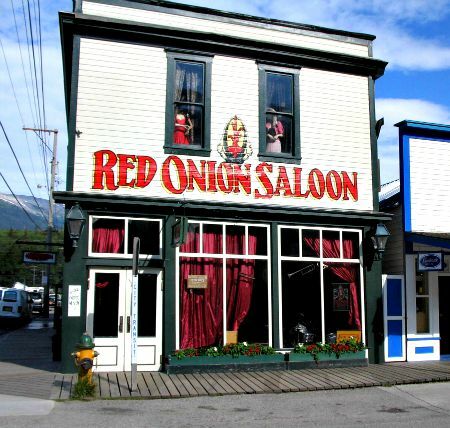 The Red Onion Saloon was built in 1897 and operated as the finest brothel in the town of Skagway. During the 19th century there was a gold rush in Alaska, as there was in most states, but here things were a little different. The gold rush in Alaska came a little later than in other states and was less favourable due to the colder climate. The rush itself brought many prospectors to the area which in turn led to the creation of the town of Skagway which acted as a kind of half way stop between the south and the areas known to have gold further north. Skagway also attracted a lot of women who were in search of a better life of more often than not just a way to simply survive. This led to the creation of a number of bars and brothels in the town and the Red Onion Saloon became known as the best of them all. Today the saloon is open as a museum and is listed as a national historic landmark. Definitely worth a look around if you are in the area as a brothel museum is a lot more interesting than you would think. Skagway is believed to be one of the most haunted towns in Alaska, with the saloon being one of the most haunted buildings in the town. The most active ghost here is thought to be the spirit of Diamond Lil, one of the former madams who lingers here to keep an eye on the guests. She is only known to make herself known to the male guests who have claimed she has gently ran her hands along their legs and whispers softly in their ears. There is also a malevolent male spirit here who doesn't seem to be friendly to anyone, often roughly brushing past staff and guests alike and moving objects the staff need to do their jobs, such as keys and expensive drinks. Apart from these two there are an unknown number of other spirits that linger here, including the apparition of a woman in a long dark dress who has been seen gliding down the staircase after dark.